I am building a website for a friend. She already has an old site which is live. I plan to build the new one locally using WAMP. However, while working on it how do I share my progress with her? So that she can revert for any changes. There isn’t a simple method for allowing someone to view your local installation, you may want to check with the hosting provider to see if there is the option of a staging environment for an easier method of what you’re wanting. Hi I would like to install/ run my sample wordpress site off of an external harddrive on various machines of my choosing. Is there any special instructions for this or do I simply install WAMP as described except onto the external drive? Hi, you missed an entire step, and it’s a complicated one. All the MS C++ applications. I don’t know what to download or where to save them. Very confusing. There must be an easier way to host a demo WordPress site than this?? hi, first of all thanks for the amazing tutorials! i have a question – I want to create my first website with wordpress. i thought about using wamp to save the money of the domain use and hosting and then move the website to the domain after it is done. You could certainly create your site locally and then follow the steps in that article to move your site and you shouldn’t run into any problems. 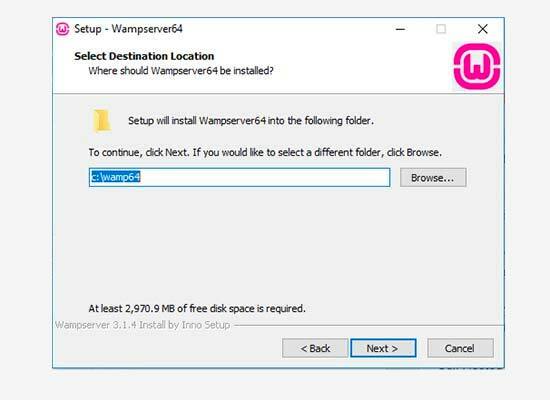 I uninstalled Skype and installed visual C++ but after installing WAMP Server app, clicking the wamp icon in the system tray doesn’t effects and the pop-up to create a database from myphpadmin doesn’t open. You may want to check the Skype conflict we mention in the article and should that not be the issue, reach out to WAMP’s support to see if there is a possible known issue. I am planning to make a website of my own . Its basically a food blog. I ahve a good knowledge of programming. However, I have a gap of around 7 yrs and really dont know the new stuff in programming like bootstrap, etc..I am still in learning phase for these concepts. Would u suggest me to make a website using wordpress.org or wordpress.com? I am building wordpress.com site as the client didn’t want to manage hosting separately. I have only ever used wordpress.org. Can you still design the site on a local server and upload in when completed onto a wordpress.com site? I am a little unsure of the limitations of the .com version. 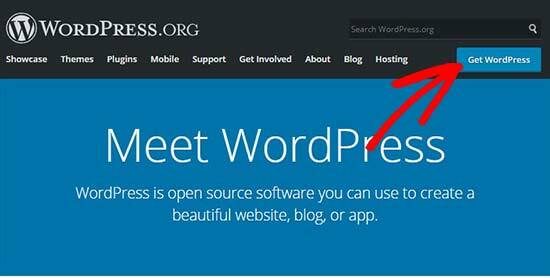 You would not be able to upload a new site on WordPress.com, you would normally need to build the site from the beginning on WordPress.com due to their restrictions. I am stuck with “Error establishing a database connection” error since a day. For me WAMP works fine, I created a DB then unzip the WP. After localhost/mysite it goes till language selection page get the DB details and when i submit it gives above mentioned error. Tried putting DB details in wp-config-samle.php, same error. Deleted DB created again, deleted mysite folder created again but still same error. Can somebody please help? For that error on localhost you may want to ensure you have all of your database information set properly. 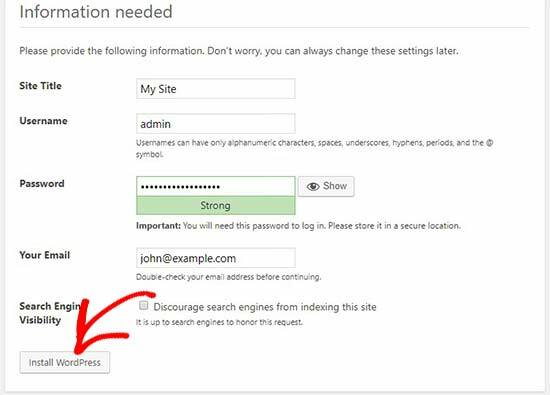 The database information is normally root with a blank password or you could add a space if it is preventing you from leaving it blank unless you changed that login information. Any way to take a copy of my live hosted site from iPage and put a copy on the WAMP for testing with plugins, etc? If so how would I do that? Wow! So straightforward! Thank you! You would want to use a database for each site to make transferring environments easier. Thanks so much. Very well written installation guide. Installed without a single glitch. Awesome Stuff. Worked like a charm. That was all,which I was looking for. Great tutorial. Worked straightaway – thanks! Thought you should know that your tutorials are being used by a scammer on YouTube to gain affiliate commissions from Bluehost. No, we did not. They just downloaded and reuploaded it on their channel. Thank you for notifying us. Why not use IIS instead of Apache? 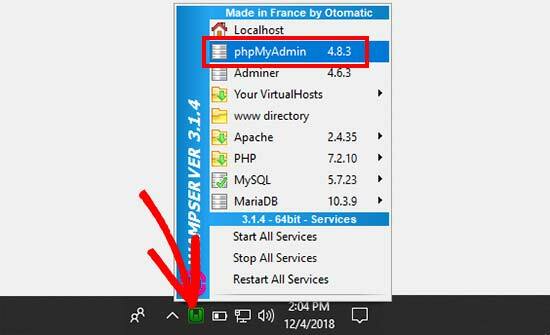 It’s a native web server on Windows and offers much better functionality and manageability, particularly for Windows users/admins who’s used to managing Windows via the GUI tools, commands and/or PowerShell. 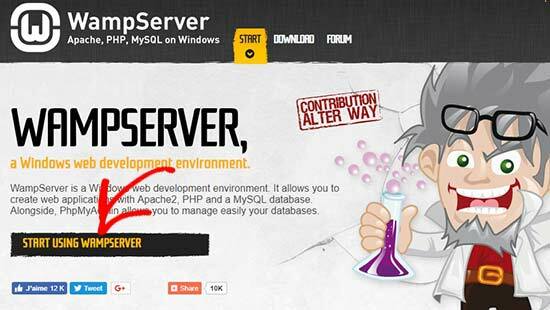 Most users would move their websites to a live server, or create a development environment for a site. Most likely those hosting providers will be running Apache. How much load does running this take on my machine? Could I put on a spare machine on my local network and access it via my LAN? Depends on how fast your machine is. Yes, you can do that but that would require some extra steps to configure your network and server. 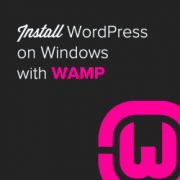 WaMp is bulky, full of problems and never know when it will break and you lose your databases… never use it. This site can’t be reached localhost refused to connect. This means that WAMP is not running Apache. You need to restart it and then retry. You don’t have permission to access /mysite/ on this server. while installing i received warning message which was not part of the expected actions stated in the WAMP instruction steps above,. 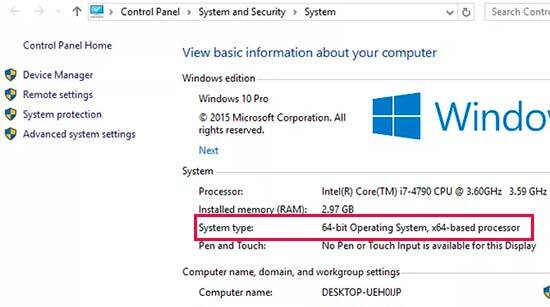 It went thus: do you want this programme (WAMP) to make changes to your pc…. 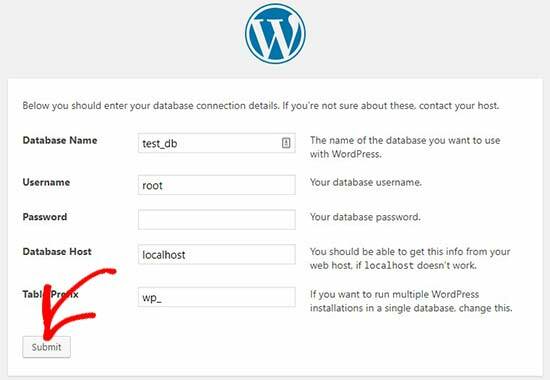 I followed every step the tutorial said, but when i enter the db info before installing wordpress, i get an “error estabilishing connection to the database”. 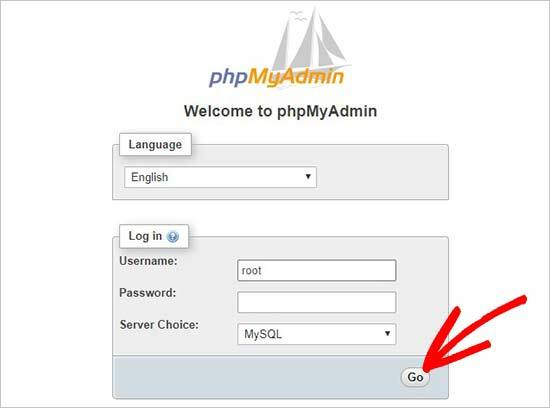 WAMP is running ok, apache green, MySQL green, i created the database by accessing PhpMyAdmin, all the info is exactly like written in the tutorial… i searched all over the web and found absolutely nothing related to this error. The only reason you will get this error is when WordPress is unable to connect to your database. You need to check your database settings to make sure they are correct. I’m trying to upload a theme but when I click to upload the zip file from my computer I get a message saying “the link you followed has expired” please try again. Most likely, your theme file size is too big and it gets killed during the upload. Please try the steps in our tutorial on increasing file upload size limit in WordPress. I’m getting that error as well… brill thanks for the link to follow! You will first need to start WAMP and after that you will be able to open your site in the browser. I want to install WordPress on my W7 computer for experimental purposes. But I want to use WordPress 4.9.1, instead of the latest version. This is because I have an excellent tutorial that’s based on 4.9.1. Yes it is possible. 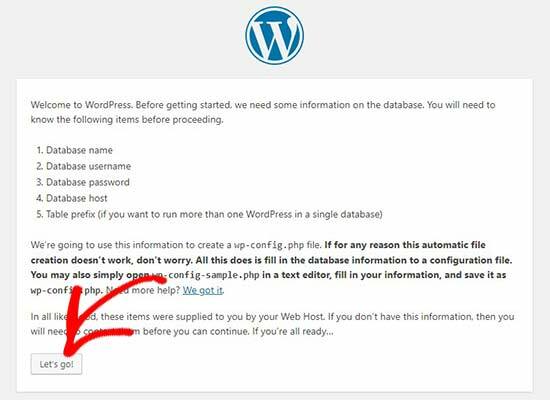 You can download the older versions of WordPress from official website and install it following the instructions above. Thank you for sharing ! it worked in first try. Thanks so much, much better than silent videos on youtube. Thanks a ton for sharing your knowledge with all of us here! 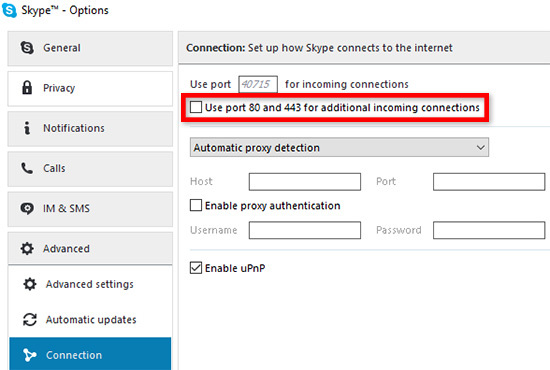 But, now my skype has stopped…it says MSVCP140.dll missing. How can I fix this without causing any trouble to WordPress and Wamp functioning? 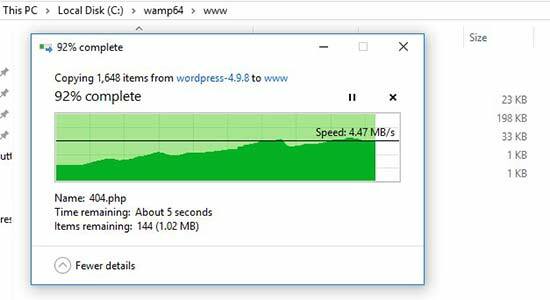 The WampServer site has two versions of the software – 32 BITS or 64 BITS. Click on the version you prefer to download. Click on “download directly,” and you’ll be taken to the website. The download will automatically start in 5 seconds. As a web developer I will be creating multipule websites. If I use local WP to create 1 site, do I have to create a separate DP for each new website? And if I eventually wish to attatch it to a domain/host, is there another tutorial that I can follow that will teach me to do just that? Thank you!! Further, I tried pasting http;//localhost/wamp64 in my browser, it gives the error 404. Also, I want to build my website locally before I go live. Please assist me. The requested URL /mysite/ was not found on this server. Wow! without any problems Wamp on my pc and after that my website local! Thank you very much for your time and effort to write this tutorial! your guideline perfectly worked for me while installing wampserver and wordpress though it was not easy but i combined persistence and trial and error till i see the end. A million pounds applause there. but, please, i have no knowledge on web designing, so, what step can i take to design a good looking and professional website? Not able to download wampserver from the link. It says file has been removed. Please provide the new link. The link is working. May be it was a temporary error. Please try again. Hi, If i want say try out with a Thrive theme and their page builder would it be possible with WAMP? 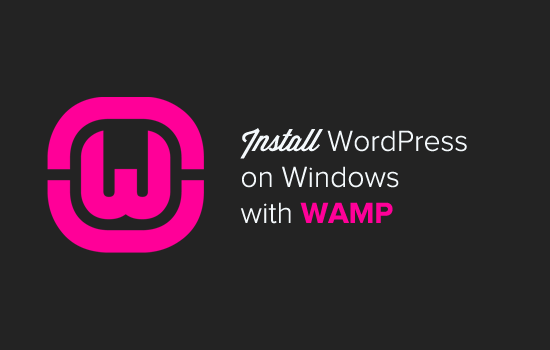 Yes you can try it on your local server using WAMP. Im getting password is wrong. Thanks for this guide, it was smooth sailing…..everything installed perfectly. Thank for the tutorial. Everything went smooth in the first attempt. I have a secondary question: If I want to create a second test website (e.g. mysite2), can I do it within same WAMP64\www folder or would I have to repeat the whole process from start on a separate root folder? Get 15% OFF on Pixelemu WordPress themes and plugins.